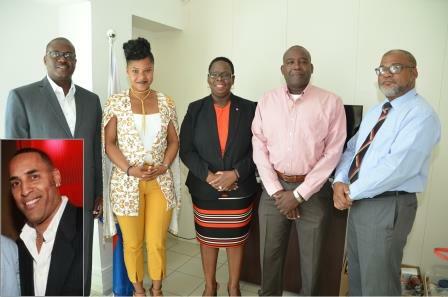 Minister of Economic Affairs and Telecommunications Mellissa Arrindell-Doncher has formally appointed a new board for the Bureau Telecommunication and Post (BTP), finalizing a process that started in May of 2017. The three new members to form the board are attorney Sjamira Roseburg, businessman Chester “Chet” Euton and businessman Louis Bute. All three were approved by the Council of Ministers and formally appointed via LB (Landsbesluit) signed by His Excellency Governor Eugene Holiday. The term of the former board had come to an end in 2016, leaving BTP without a board ever since. The Minister on Monday congratulated the three new members who she described as extremely capable professionals who will all be great assets to BTP. Director of BTP Anthony Carty was also present for the Minister’s official brief welcome of the new board.